One size does not fit all when it comes to chiropractic care. Different conditions must be treated uniquely, and different individuals may require different treatments for the same condition. 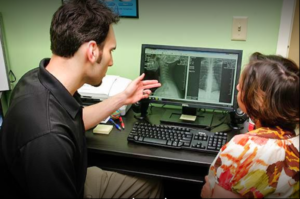 At Sandez Family Chiropractic & Wellness Center in Cary, our patients receive an individual evaluation, custom treatment plan, and therapies chosen specifically for them and their conditions that need treatment. We focus on removing vertebral subluxations (misalignments of bones in the spine causing pressure and interference to the nervous system), that are often the root cause of many common problems. Most of the techniques listed above can be used in infants, children, teenagers, and adults, with precise modifications performed by the doctor. We take pride in leading our patients to live a healthier lifestyle. Our staff focuses on a proactive approach to health. Sandez Chiropractic will provide relief, correction, and wellness chiropractic care with a focus on getting to the underlying cause of the dysfunction. Improving quality of life is our ultimate goal. Give our office a call at (919) 535-3091 or Contact Us today for further information. Or Book An Appointment online to begin your journey to a healthier life. We do not require a referral to book an appointment and accept most insurances. We serve patients in Cary, Morrisville, Raleigh, Apex, Garner, Holly Springs, Clayton, and from further away in Durham, Chapel Hill, Sanford, Fayetteville and surrounding areas.